What You Need to Know Before Renting a Scooter at Sea! If the extensive distances involved in walking around a cruise ship or ports of call isn’t an option for you, you don’t have to compromise your vacation experience. There are many companies that rent scooters and other devices that can be delivered directly to your stateroom to alleviate some of that pre-vacation stress. With these options, you will have plenty of opportunity to explore all your cruise ship has to offer without worrying about getting fatigued. You can also enjoy a variety of accessible tours in many ports of call. If you decide that renting a scooter is the right choice for you, here are some helpful tips that will ensure you get the device that is right for you. Keep in mind that costs will vary by type of scooter rented, cruise port of departure, and length of cruise, so be sure to have all that information handy when contacting the vendor. 2. Be sure to ask about delivery and pick-up options. If the vendor is a preferred provider of the cruise line, the scooter can be delivered to your stateroom in time for your arrival and can be left in the room upon departure. This will eliminate the headache of having to meet other vendors outside the cruise port to arrange pick-up and drop off. If you need the scooter to board the ship, other delivery options can also be arranged with the vendor. 3. Will you have enough battery life? Depending upon your need for scooter use during the day onboard the ship and at ports of call, you may have to plan charging the battery accordingly. The best practice is to charge over-night. You will also want to inquire about the length of power cord and if they offer any extension cord options as power outlets on cruise ships are limited and might not be in the most ideal location for charging. It is also recommended to bring a power strip to allow for additional outlet access. Most scooters have weight capacities so you will want to know your weight in order for the vendor to quote you a price on the item fit for you. Keep in mind that the more “heavy duty” scooters will have a larger turning radius and wider dimensions which may impact navigation on the ship. Also, be sure to get the dimensions of the scooter prior to renting. Most “accessible” stateroom doors are at least 32″ wide but “standard” stateroom doors are significantly narrower (approx. 23″ wide, varying slightly by ship). Make sure to double check this information with your cruise line before renting to ensure the scooter will fit through the doorways on the ship. If your appropriately sized scooter will not fit through a “standard” doorway, you may need to consider changing your cabin assignment to an “accessible” stateroom. 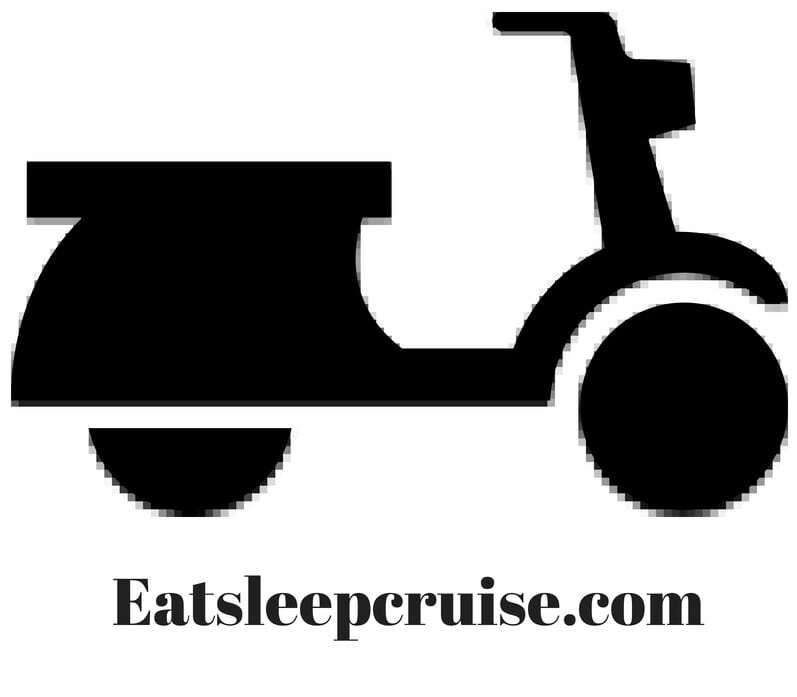 Be sure to inquire, as your cruise line may also require written documentation with specifications of the scooter you intend to bring onboard. Be sure to ask the vendor what their protocol is for scooters that break down or need maintenance during your trip. Most companies offer plans that include an emergency troubleshooting hotline, maintenance, and replacement scooters in such instances. But, not all companies do offer such protection, so make sure to find out from the rental company what happens if your scooter is not working properly during your trip. Cruise lines’ regulations require you to store and charge all scooters in your stateroom. Be sure that the room category you have booked is large enough to accommodate all mobility devices especially if both you and your spouse are in need of such assistive devices. This again, may require some planning ahead so as to select a large enough stateroom category when booking your cruise vacation. The American Disability Act (ADA) guidelines do not apply outside of the United States so accessibility at ports of call cannot be guaranteed. You will want to check with the cruise line and even port authorities to inquire about accessibility to and from the cruise ship at your various ports of call. It should be noted that in general you can NOT take scooters on tenders. You will need to be able to take steps to board the tender boat and use a portable wheelchair if you wish to leave the ship. So make sure you find out from your cruise line at which ports you will dock and at which ones you will tender. Furthermore, even if you are able to leave the ship, handicapped accessibility in nearby shops, restaurants, and other attractions cannot be guaranteed. Whether you decide to book your shore excursion directly through the cruise line or with a local vendor, be mindful that not all shore excursions can accommodate scooters. In general, most cruise lines will indicate which excursions are accessible for wheelchairs on their website but be sure to inquire further as not all transportation vehicles have ramps or lifts to accommodate scooters. Contact your cruise line to ensure accessibility with a scooter on your desired excursion or for a list of scooter accessible options. Once on the ship and cruising along, be sure to personalize your scooter to easily pick it out of a crowd. Be creative, use ribbon or whatever suits your fancy! Remember that these are just general planning tips. You will want to contact your cruise line directly to obtain their specific protocols regarding any equipment you plan to take on board or have directly delivered to the ship. The 2 companies listed below are preferred providers for most cruise lines. Visit their websites for details on scooter and other equipment rentals. What are your experiences with renting a scooter or other medical equipment for a cruise? Please leave your comments below. Just a friendly FYI: the carevacations link no longer works. It seems to be a domain issue, not a link issue.